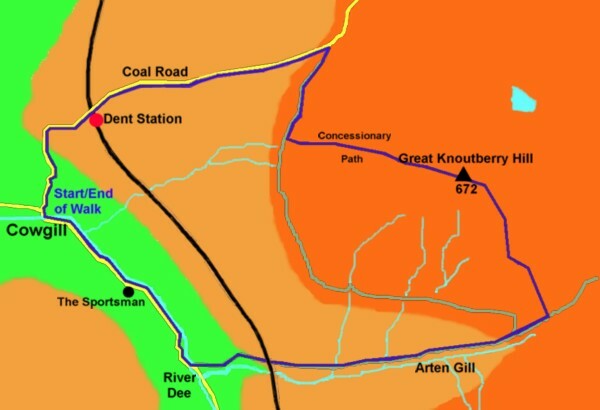 From Cowgill to Great Knoutberry Hill and back via Arten Gill. Anne and I were visiting the Yorkshire Dales, although we were actually staying a mile or so outside of the Yorkshire Border in Cumbria. 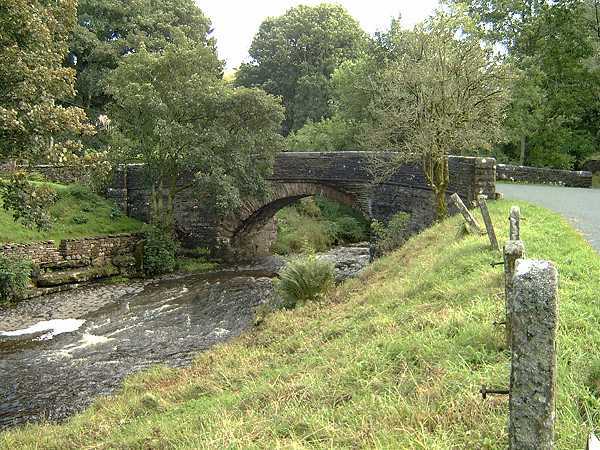 On our first full day there the weather was poor - it rained – so we spent the day driving around the area and admiring the sweep of the hills and the rushing streams. The weatherman said the following day was likely to have rain and be windy. 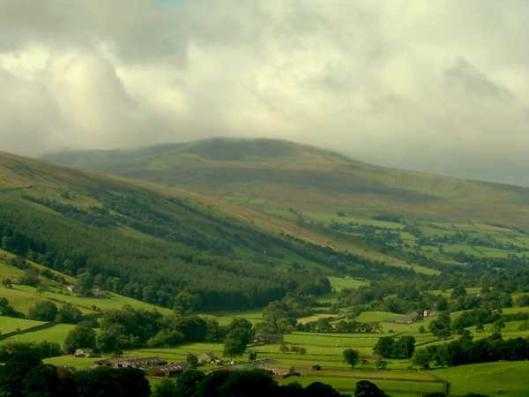 Nevertheless, as we were desperate to walk, we decided to do a short stroll starting from our base in Cowgill, which is a long straggly village in Dentdale with the River Dee flowing through it and the bulk of Whernside, one of the “Three Peaks” to the south. 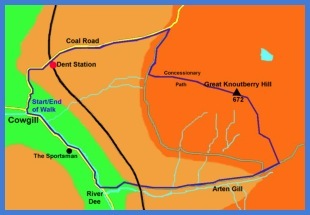 So late morning, when the rain had eased, we put on waterproofs and boots and headed north on the Coal Road towards Dent Railway Station. From here, we intended to continue up the road and then having taken a track skirting the top of Great Knoutberry Hill we would go down Arten Gill before taking the road at the bottom of the gill back to Cowgill. 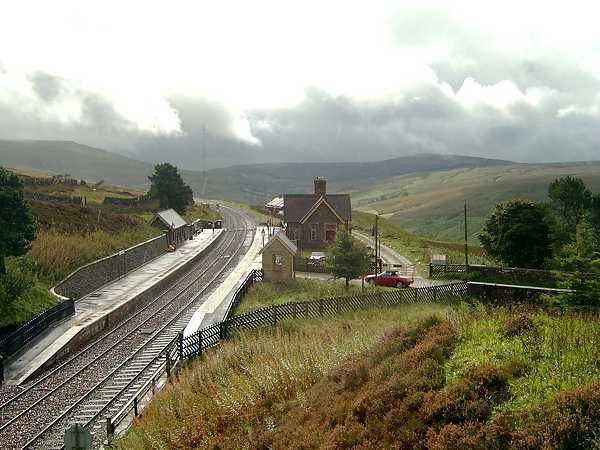 Dent Station, which is on the famous Settle to Carlisle Railway Line, is, at 1150 feet above sea level, the highest mainline railway Station in England. Needless to say it was quite a “pull” up to the station but the tarmac surface of the road was certainly easier to walk than the waterlogged peat we encountered later on this excursion. 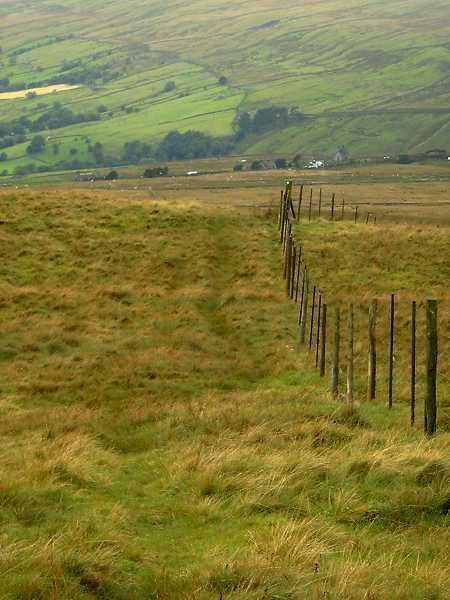 Looking south from the Coal Road towards Whernside . 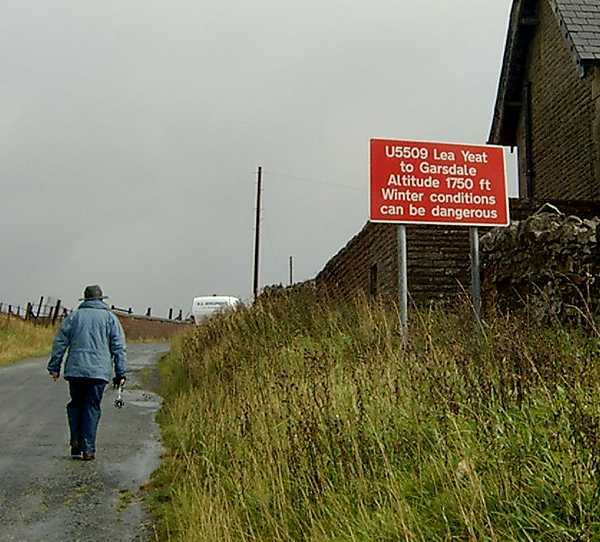 We continued up the Coal Road, which at its highest point is 1750 feet above sea level and has gradients of 1 in 5. 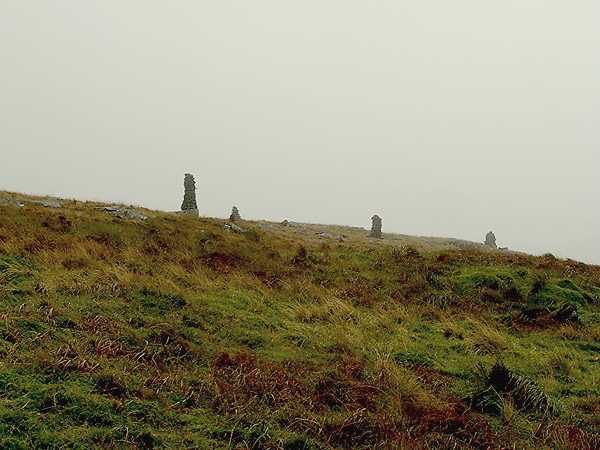 However, before we reached the highest point we turned right at grid reference SD 779880 and started to follow a bridleway at a level of just over 500 metres (approximately 1640 feet) which skirts the west and south side of Great Knoutberry Hill. This was pleasant walking. 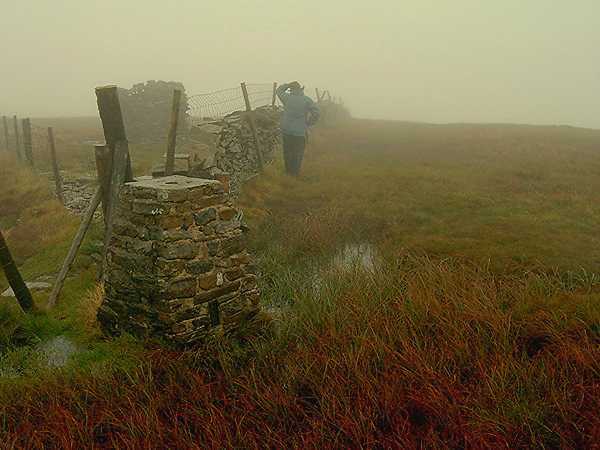 The sun had even glimmered for a few minutes, but unfortunately not enough to break down the mist and clouds that were covering Whernside to the south and the other hills that surrounded us. 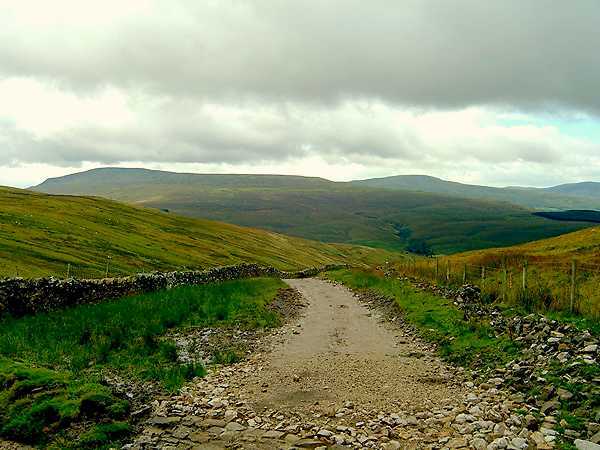 We had gone nearly ½ a mile along this bridleway when a sign on our left indicated a concessionary path to the top of Great Knoutberry Hill, which at 672 metres (2205 feet) is only 54 metres less than Whernside, which at 736 metres is the tallest of the “Three Peaks”. Anne was up for the challenge so we clambered over a stile and started eastwards along the path to the top of the “Hill”. Initially the going was quite easy on the concessionary path. And navigation was even easier. All we had to do was follow a fence on our left. 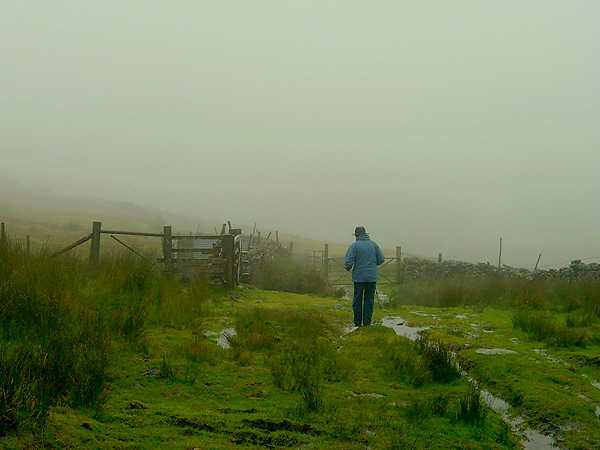 However, the higher we went the peatier and sodden our path became until it vanished and we found our route very boggy and difficult to traverse. 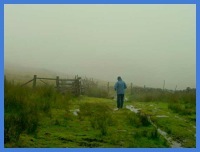 Then, as we were nearing the top of the hill, we were hit by a real cloudburst of a downpour. But we were not too bothered about the inclement weather as we were well waterproofed. However, it was so bad that Anne commented that the likes of Mick, Larry and Peter would find it difficult to call me “Fairweather” if they could see the conditions I was now enduring. A trig point, which we never actually touched as it was surrounded by squelchy peat and water, marked the top of the Great Knoutberry Hill (Grid reference SD 789872). However, we got near enough, 3 or 4 metres, to be able to say we had bagged this “peak”. 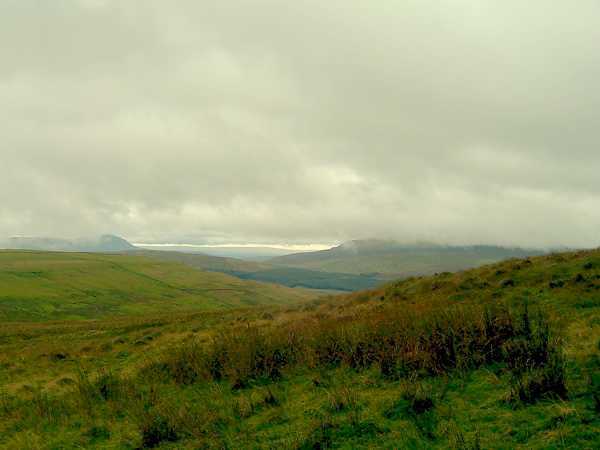 As the rain continued we wasted no time lingering to admire the cloud covered views but started downhill, initially eastwards but as the wall on our left veered southwest we continued alongside it and by the time we reached the T junction with the top of a bridleway called Arten Gill the rain had stopped. 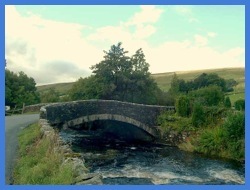 So we stopped, had a cereal bar and water, before we started to descend west down Arten Gill. 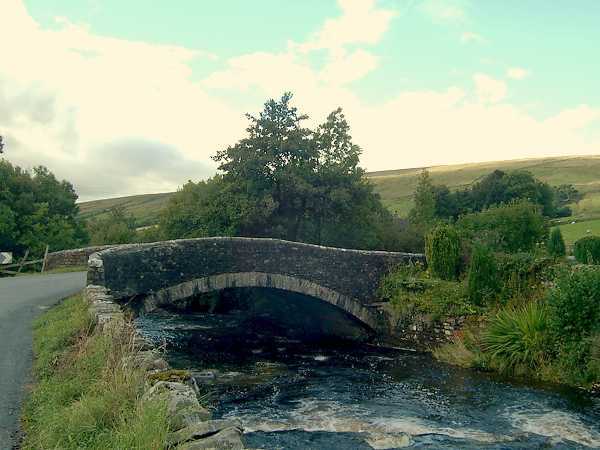 Currently (September 2004) there is a large amount of repair work taking place on the Arten Gill Bridleway, so it is temporarily closed to vehicles that can normally use it. 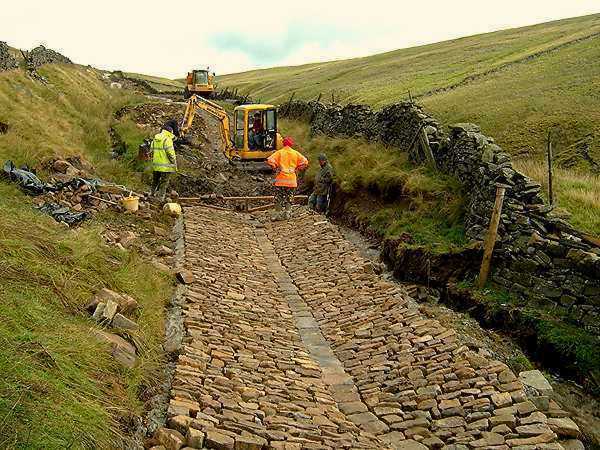 The repairs are necessary as it would seem the abundance of rainfall in this area, and the traffic, has had a detrimental and impact on the quality of the track. However, even when it is finished, you would certainly need a very robust four-wheel drive vehicle to traverse this route. As we went further down this track the repairs - mainly improved water courses across the track so the water coming from Great Knoutberry could get down to the stream ( Arten Gill Beck) without washing away this right of way - became very evident. Soon we could see workmen, who were building a small ford to move water from one side of the track to the other which in part would run down the middle of the track. 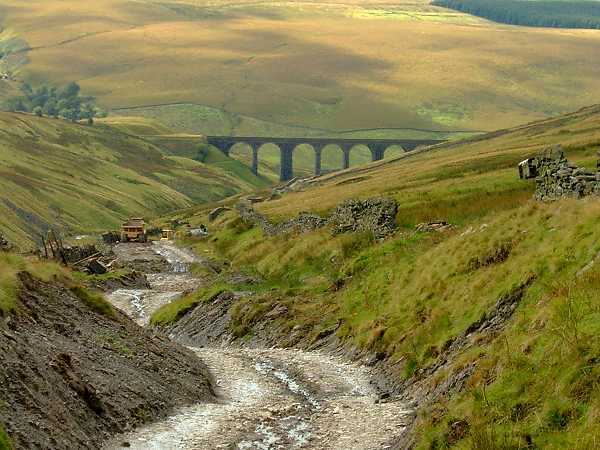 Beyond this construction area, crossing the valley was the impressive Arten Gill Railway Viaduct which is another notable construction on the Settle to Carlisle Railway Line. As we approached the viaduct the rain started again and we got under the viaduct to shelter, but this really was a waste of time as the arches being so high gave no protection from the precipitation. However, I was really impressed by this structure. 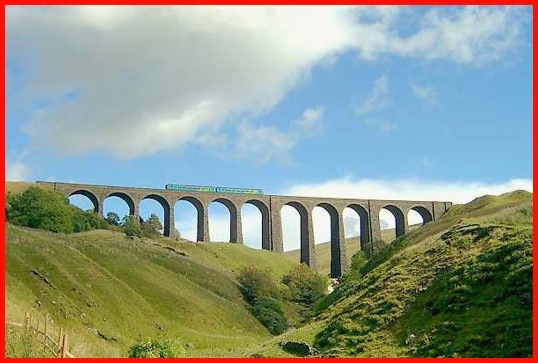 The very impressive Arten Gill Viaduct. At the bottom of Arten Gill we met the main road through Dent Dale and turning right we crossed a very narrow road bridge, only 8ft 6in wide. Needless to say I was always careful crossing it on four wheels. 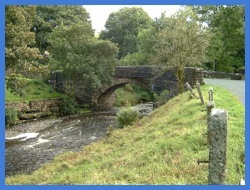 It was then a walk of one mile along the road, which is also part of the Dales Way and is parallel to the River Dee, back to our base at the bottom of the Coal Road in Cowgill. 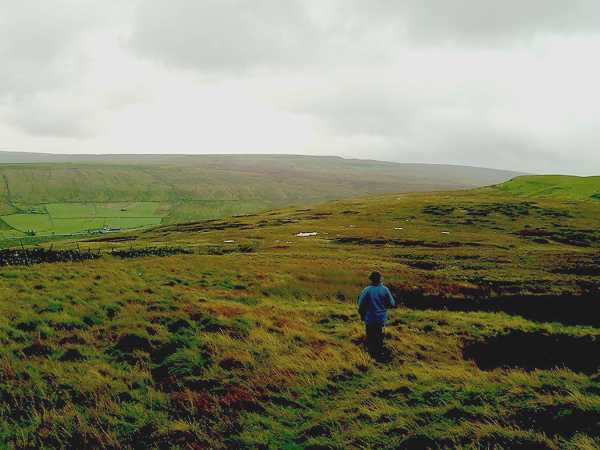 My one regret was we had started the walk too late so by the time we passed the only pub on our route, the Sportsman, which is mid way between the bottom of Arten Gill and the Coal Road it was closed. 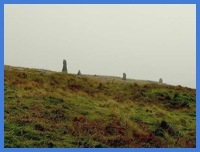 The total distance walked was about 6 ½ miles and took about 4 hours – we were in no rush.